I was sooooo thrilled for the CAS-ual Fridays challenge this week, so I had to make 2 cards. The theme is "What's Black and White and Read all Over?" which is to make a black, white, and red card based on one of your favorite books. Nerd Alert... I did mine on two Charles Dickens novels, one of which happens to be my favorite favorite novel I have ever read in my life. Nothing will ever compare! CFC18 - "A Christmas Carol"
My first card is based off Charles Dickens' A Christmas Carol. The fireplace is for where all the ghosts of Christmas' past come from, and I turned the little cookie stamp into three pieces of coal. Because Scrooge is a scrooge and he deserves coals for Christmas, and three of them represent each of his past ghosts! Deets: Fireplace and coal stamps from my new Lawn Fawn (!!) winter set, the holly and snowflakes are from Inkadinkado. I used my brand new (!!) water color pencils to shade the fireplace and coals. My Second card is based off my favorite book of all time, Charles Dickens' Great Expectations. This is my favorite "love" quote from the book. From first reading it, it seems lovey and adorable, but really it's Pip realizing that he will never get his love, Estella, and also realizing that she is very bad for him and will never love him in return; hence the wilted black flower, black heart, and fallen single petal (kind of a 'she loves me, she loves me not' idea). Ya this novel is amazing. Deets: All stamps are from my brand new (!!) set of Annabelle Stamps that I won from the lovely and talented Karin. I just got the stamps yesterday and used them immediately for this challenge! I shaded the petals with water color pencils, and printed the quote from the compy. Thanks for lookin! And thank you so much Karin and Annabelle Stamps, I love them and they're gorgeous stamps to work with! 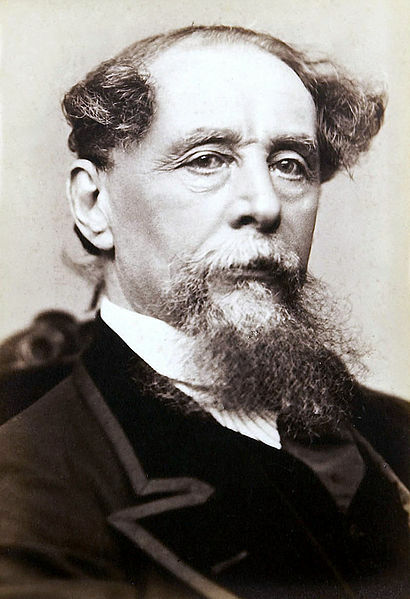 I love how dickens wasn't afraid to expose his feminine side in writing... To bad few men feel that comfortable with their own two sides eh? I love your second card! hugs. Tammy... thank you for having me and I came by way of etsy. I'm having a GIVEAWAY if you would like to stop by and drop your name in the post. SO AWESOME! You made not one, but TWO cards, Rachel! I love how the books inspired you! I am a fan of C. Dickens as well...although his stories are a little on the dark side...but that's what he is also famous for! I love both cards as they are so cute and creative! Thanks so much for playing with us at CAS-ual Fridays! Hope to see more of your fabulous work! What cute cards, I love the concept of that second one with the petal dropping off. Thank you so much for playing along at CAS-ual Fridays. Hehe, love the cards! That flower really pops on the second one :) Thanks for playing this week at CAS-ual Fridays! Had to share Hubs bday card.. Happy Birthday to Me... WINNER! Paper Piecing With New Stamps!